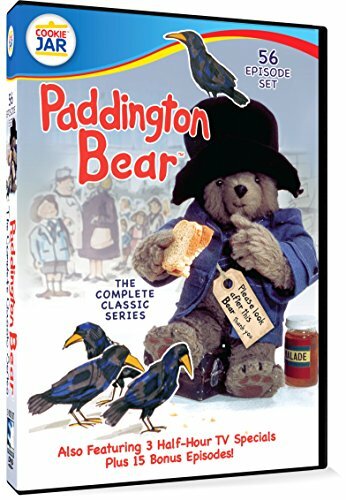 Buy the Paddington books and television series cheaply from Amazon. You too can earn money from writing articles by signing up for InfoBarrel. Paddington is based on the children's books by Michael Bond and starts with a black and white film detailing a British explorer (Tim Downie) who has travelled to Darkest Peru. There, he meets some rather unusual bears, who he makes friends with and introduces to the joys of marmalade. On his departure, he invites them to London, promising a warm welcome. Decades later and a young, but as yet unnamed, Paddington (Ben Whishaw, Skyfall, Spectre), is living with the two now elderly bears, his aunt and uncle. Events result in Paddington stowing away on a container ship heading for London, surviving solely on jars of marmalade - the bears having worked out how to create the preserve themselves. The young bear has only his suitcase, his hat, which originally belonged to the explorer, and a tag around his neck asking someone to look after him. His trademark blue duffel coat is given to him later in the film. Credit: http://en.wikipedia.org/wiki/Paddington_%28film%29#mediaviewer/File:PaddingtonPOSTER.jpgLondon is not what he expects, and he doesn't get the warm welcome promised. Instead, people are constantly rushing around, ignoring his attempts to be polite. Disheartened, he sits on his suitcase in Paddington Station. When the Brown family stumble across him, Mr Brown (Hugh Bonneville, The Monuments Men) advises them to leave him alone, but Mrs Brown (Sally Hawkins) is more welcoming, and the children Judy (Madeleine Harris) and Jonathan (Samuel Joslin) come over too. Mrs Brown invites the young bear home for the night, and they name him Paddington after the station. Mr Brown, a very sober individual who constantly assesses risks, is not keen for the night, and wants to take Paddington to the Authorities as soon as they can. Their neighbour, the grumpy Mr Curry (Peter Capaldi), is also not happy about having a bear living next to him. Paddington's biggest threat comes from the Director of Taxidermy at the Natural History Museum (Nicole Kidman, Before I Go to Sleep, Stoker) who enjoys her job a little too much. She knows of the unusual species of bears of which Paddington is a member, and wants a specimen of it. Stuffed and mounted of course. Paddington is a CGI bear with everything else live action. He interacts with his environment very well, to the degree that you can't tell that he isn't actually there. The film is full of humour, and some slapstick comedy, as Paddington's attempts to get by in London often fail, sometimes quite badly, especially when he encounters the illogical construct that is the English language. He always means well, though, and sometimes purely by coincidence manages to help out. There are minor things to look out for such as, when in the train station sitting in front of the Lost and Found office, the Found part of the sign isn't illuminated until he is welcomed by Mrs Brown, and a scene which is a reference to Mission Impossible: Ghost Protocol. The calypso band, Lime D, that provides quite a lot of the music for the film also can be seen at various points during it performing as a group on screen. The film is based on the books but, naturally, there are some changes. Mr and Mrs Brown have to a large degree reversed their roles in the film, with Mr Brown being the serious one and Mrs Brown the more light-hearted one. Paddington is still very polite to everyone, and always means well, even when things fail to go to plan. In some ways, the PG certification for the film is surprisingly high for a family film of this nature. It's possible that the "dangerous behaviour" mentioned refers to the perils Paddington encounters - or manages to manufacture through his own actions, even if unintentionally. 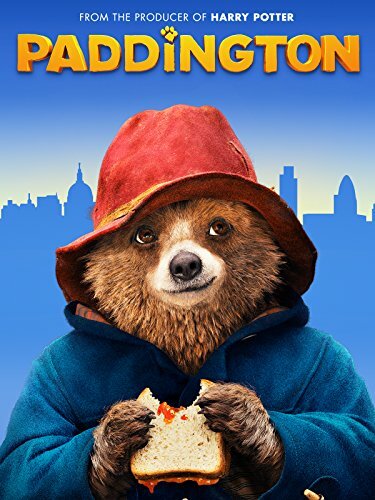 This is a truly enjoyable film that both young and old should enjoy, especially those who have grown up with Paddington in one form or another. Paddington is funny, enjoyable, and a pleasure to watch. I mostly remember the television series from the 70s. I think I read a couple of the books. If I did, I probably still have them. It evokes the memories of another animation film called UP. It brought me too tears. Paddington also has potential to do that. I would say it's rather more upbeat than UP was in general. I guess I will have to watch it first, to compare. Funny thing, for a huge animation fan, I became aware of Paddington movie when I came across this article. Well, Paddington is mostly live action rather than animation, so that could be why.